ELISA’S LOVE BITES IS A UNIQUE GLUTEN-FREE DESSERT ATELIER THAT CREATES PREMIUM ARTISANAL SWEETS BASED ON THE NOTION THAT GOOD FOOD CHOICES SHOULD BE PLEASURABLY DELICIOUS. WE FASHION THE FINEST NATURAL INGREDIENTS INTO TRULY DECADENT SWEET CONFECTIONS AND ALLOW THE ALREADY PERFECT TASTES OF NATURE TO COME TOGETHER IN TANTALIZING FLAVOR COMBINATIONS. THE RESULT IS A SUPERIOR DESSERT EXPERIENCE THAT SATISFIES SWEET CRAVINGS WHILE STAYING ON THE HEALTHY SIDE – HOW AWESOME IS THAT? 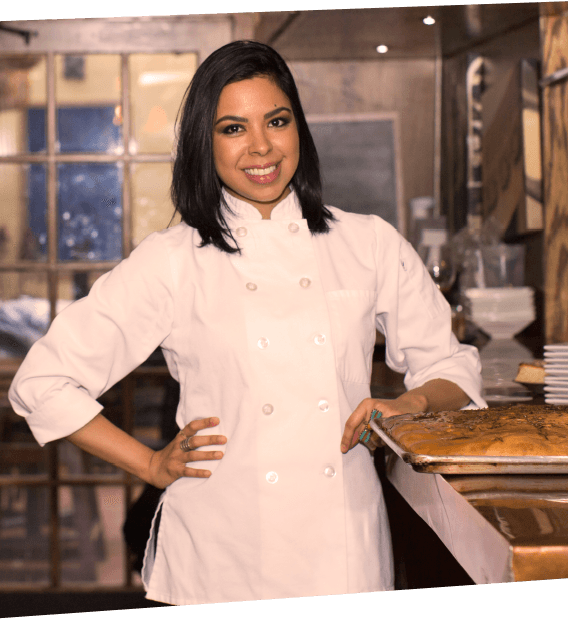 Elisa’s Love Bites is the brainchild of Chef Elisa Lyew, a NYC pastry chef who decided to shake things up after years spent honing her skills in several renowned restaurants. Elisa’s time as a restaurant pastry chef opened her eyes to the tremendous need for dessert options that are not detrimental to the health of the public. With a desire to change the elements that land traditional desserts on the naughty list (such as gluten and refined sugar, among others), Elisa set off to create a collection of recipes using as many nutritious ingredients as possible, and Love Bites was born! Our dessert collection features the best of the best – our ingredients are predominantly organic and many are sourced locally. Our gluten-free flour blends are made in-house using the best available grain and nut flours. We use only raw organic cacao and chocolate, and sweeten our confections with coconut palm sugar, dried fruits, maple syrup, and other naturally low-glycemic sweeteners. We love good food and want to spread the love! We are so excited to share our creations with you. A selection of our sweets is available for shipping to the continental United States and we offer pick-up and delivery of special orders in Brooklyn and Manhattan.